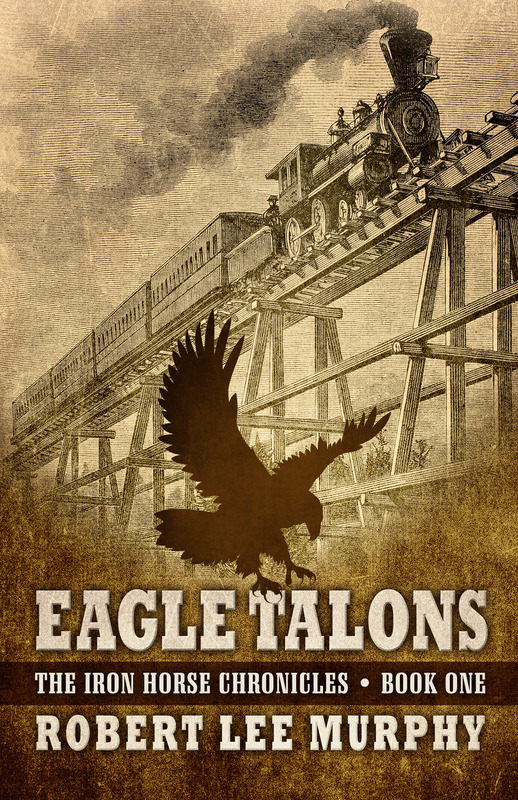 Eagle Talons, book one in The Iron Horse Chronicles trilogy, follows the quest of newly orphaned, fourteen-year-old, Will Braddock on his journey west in 1867 to determine his own destiny. Will doesn’t want some old judge deciding his future by forcing him to become a blacksmith apprentice. He seeks the excitement of helping build the first transcontinental railroad. Although he receives advice from many well-meaning friends, Will learns he must rely upon himself to achieve his goal. Paddy O’Hannigan, a young Irish thug, holds a vendetta against Will, and is determined to see him dead. A mixed-blood Cheyenne youth, Lone Eagle, whom Will saves from quicksand, gives Will two eagle talons from his amulet in appreciation. The talons save Will’s life, and though not magical, he’s convinced they are lucky. When Jenny McNabb, a feisty young lady he befriends, is kidnapped by Indians, and the Army refuses to send troops, Will decides to risk his own future to free her from captivity. Eagle Talons, published by Five Star Publishing, is available in libraries, on-line, and in bookstores. You can read sample chapters on the sub-tabs in this Books section of the website. Click on the links to Robert Lee Murphy at Amazon or Barnes & Noble in the sidebar under Favorite Websites to order Eagle Talons. 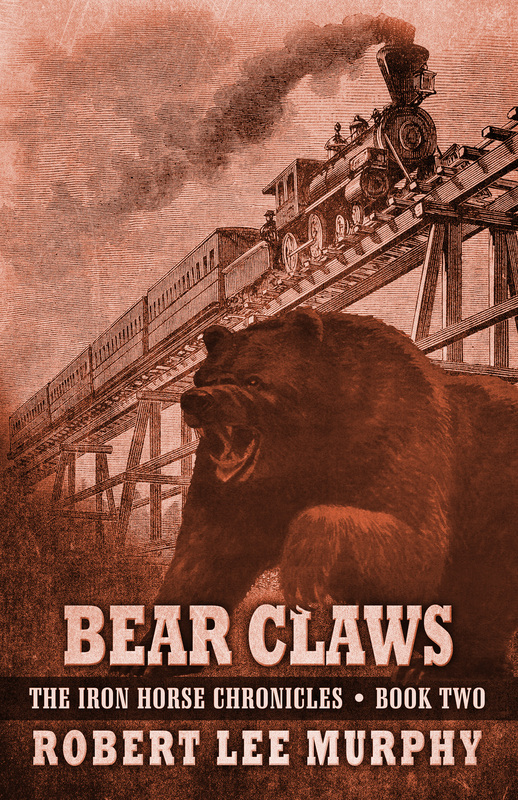 Bear Claws, book two in The Iron Horse Chronicles trilogy, continues the adventures of now fifteen-year-old Will Braddock while the transcontinental railroad builds across Wyoming in 1868. Will strengthens his friendship with Lone Eagle, after the mixed-blood Cheyenne’s father, Bullfrog Charlie Munro, is killed by a grizzly. Will continues to confront Paddy O’Hannigan, whose vendetta to kill Will, his uncle, and the former black slave Homer Garcon, grows more sinister. Will remains fascinated with feisty Jenny McNabb, who cooks at her father’s Wells Fargo stagecoach station. Will is challenged to use all his skills to save the life of Ulysses S. Grant when Paddy attempts to blow up the presidential candidate’s train. Later, Will is badly mauled when he steps in front of a grizzly attacking a German aristocrat during a hunting expedition. Despite suffering from bear claw wounds, Will must find a way to help Elspeth McNabb, Jenny’s sister, escape the clutches of Paddy. Bear Claws, published by Five Star Publishing, is available in libraries, on-line, and in bookstores. You can read sample chapters on the sub-tabs in this Books section of the website. Click on the links to Robert Lee Murphy at Amazon or Barnes & Noble in the sidebar under Favorite Websites to order Bear Claws. The driving of the Golden Spike at Promontory Summit, Utah, in 1869 almost did not happen. History books fail to mention the incident. Only five people were aware of it—Will Braddock was one. In Golden Spike, the final book in The Iron Horse Chronicles trilogy, Will works for the Union Pacific Railroad as it races west to join the Central Pacific. Will’s arch enemy, Paddy O’Hannigan, is determined to carry out his vendetta to kill Will, Will’s uncle, and Homer Garcon, all of whom Paddy blames for his own troubles. Paddy, desperate for money, kidnaps Will’s friend, Jenny McNabb. Will raises the ransom money and secures Jenny’s release. The blundering Paddy loses his new fortune and winds up broke again. Paddy learns Leland Stanford, president of the Central Pacific Railroad, is bringing a golden spike to the ceremony to mark the completion of the first transcontinental railroad. Here is another chance to get rich. Jenny, meanwhile, has accepted a position as Stanford’s personal chef aboard the train where the golden spike is secured. Will and Homer are alone on the train with Jenny helping her prepare a picnic for Stanford and his distinguished quests who are lounging beside the Great Salt Lake. Paddy steals the golden spike from under everybody’s noses and makes his getaway on Will’s horse, Buck. Will must regain the spike, or he, Homer, and Jenny will be accused of the theft. Golden Spike, published by Five Star Publishing, will be available in libraries, on-line, and in bookstores on July 19, 2017. In the meantime, you can read sample chapters on the sub-tabs in this Books section of the website. Keep checking Amazon and Barnes & Noble for their notices that Golden Spike is available for pre-order. As with the first two books in the trilogy, Book Three will be sold in hardcover, large print, and Kindle versions.